The layout of PCB wiring should be as short as possible, especially in high-frequency loops. Corners of PCB wiring should be rounded, cause right or sharp angles could affect electrical performance in the case of high-frequency circuits or high wiring densities. 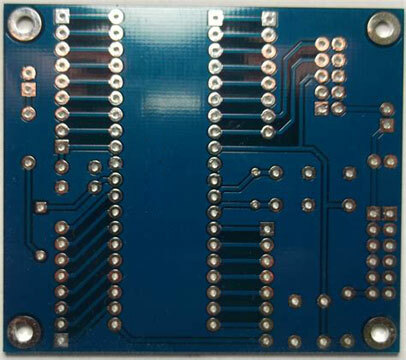 The width of PCB wiring should meet the electrical performance requirements and easy to produce. Its minimum value depends on the current size, but it should not be less than 0.2mm. In high-density and high-precision circuits, the width and spacing of wires are generally 0.3 mm. The wire width must consider the temperature rise under the condition of high current. The single-side PCB board experiment shows that when the thickness of the copper foil is 50μm, the wire width is from 1mm to 1.5mm and the current is 2A, then the temperature rise is very really small. Therefore, the general selection of PCB wiring width is from 1mm to 1.5mm which can meet the design requirements without causing temperature rise. The common ground of PCB wiring should be as thick as possible. If possible, use wires larger than 2mm to 3 mm. This is especially important in circuits with microprocessors. If the ground wire is too thin, the noise margin will be degraded due to the change of the flowing current, the fluctuated ground potential, and the unstable microprocessor timing signal. Designing wiring among IC pins of DIP packaging, you can apply the principles of 10-10 and 12-12, that is, when the two pins through the two lines, the pad diameter can be set to 50mil, both wire width and spacing are 10mil; while when with only one line between two pins, the pad diameter can be set to 64 mils, and the wire width and spacing are both 12 mils. For more latest PCB related information, please visit PCB News from EPCB.